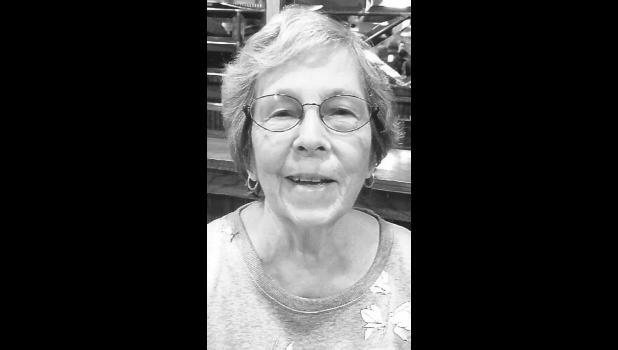 Janice Kay McGinnis Derfelt, 80, Branson, Mo., died Friday, Feb. 16, 2018, at her home. She was born Feb. 16, 1938, in Holton, the daughter of Ralph Earp and Blanche Elizabeth Hood McGinnis. She graduated from Holton High School and attended the University of Missouri-Kansas City. Mrs. Derfelt worked as a dental hygienist and office manager at her husband’s dental practice. She and her husband moved to Branson 28 years ago to own and operate Brill’s Rainbow Resort. She was a member of Asbury United Methodist Church in Wichita and later Branson Bible Church. She also was a Girl Scout leader and was involved with PEO, Kansas Women and 4-H.
She married Dr. Paul W. Derfelt on June 29, 1958, in Holton. He preceded her in death, as did her parents, Ralph and Blanche McGinnis; a brother, Dale McGinnis; and a great-grandson, Zane Blasdel. Survivors include three children, Debra Blasdel and husband Eric, Wichita, Cheryl Bosley and husband Jerry, Branson, Mo., and David Derfelt and wife Tee Eller, Lindale, Texas; eight grandchildren, Kyle Blasdel, Chad Blasdel, Bryn Blasdel, Austin O’Daniel, Andrew McKeown, Dillon Derfelt, Dawson Derfelt and Daxton Derfelt; and eight great-grandchildren. Funeral services were held Saturday at Branson Bible Church. Burial followed in Ozarks Memorial Park Cemetery, Branson, Mo., under the direction of Snapp-Bearden Funeral Home and Crematory in Branson. Memorial contributions may be made to Branson Bible Church, 533 Branson Landing Blvd., Branson, MO 65616.